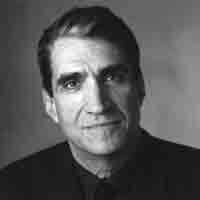 Robert Pinsky (born 1940) is an American poet and former Poet Laureate of the United States (1997-2000). He is known for his innovative, personal style, and his use of contemporary themes. Pinsky is a professor at Boston University where he teaches in the graduate creative writing program. Pinsky was born in Long Branch, New Jersey. Pinsky attended Long Branch High School before earning his B.A. from Rutgers University and his M.A. and Ph.D. from Stanford University, where he held a Stegner Fellowship in creative writing. He taught at Wellesley College and the University of California, Berkeley before going to Boston University. His collection of essays, Landor’s Poetry was published in 1968 and was followed by other essay collections in 1977 with The Situation of Poetry and Poetry and the World (1988) which was nominated for the National Book Critics Circle Award in Criticism. He received a National Endowment for the Humanities Fellowship in 1974 and in 1975 published his collection of poems, Sadness and Happiness. Other poetry collections followed: An Explanation of America (1980) which won the Saxifrage Prize; History of My Heart (1984), awarded the William Carlos Williams Award of the Poetry Society of America; The Want Bone (1990); and, The Figured Wheel: New and Collected Poems 1966-1996 which was nominated for the Pulitzer Prize in Poetry, and was awarded the Ambassador Book Award in Poetry of the English Speaking Union and the Lenore Marshall Award. Professor Pinsky is renowned for his translation work, most notably The Inferno of Dante (1994) which won the Los Angeles Times Book Award in poetry, the Academy of American Poets’ translation award, and was a Book-of-the-Month-Club Editor’s Choice. He has received many other literary awards and honors. Robert Pinsky is also the author of the interactive fiction game Mindwheel (1984) developed by Synapse and released by Broderbund. Do you have any comments, criticism, paraphrasis or analysis of this poem that you feel would assist other visitors in understanding the meaning or the theme of this poem by Robert Pinsky better? If accepted, your analysis will be added to this page of American Poems. Together we can build a wealth of information, but it will take some discipline and determination.